Stuart Freedman’s book, The Palaces of Memory: Tales from the Indian Coffee House, from Dewi Lewis Publishing. The first time Stuart Freedman visited Delhi, in the mid 1990s, it was a bit of a shock. The London-based photographer had been to South Asia and the Middle East before, but nothing could have prepared him for the cacophony and bustle of India’s capital city. So when he found himself on the wide and relaxed terrace of the Indian Coffee House at the Baba Kharak Singh Marg, it felt like a refuge. “There was a civility; a slower pace. Years later, one of the old regulars would tell me that the Coffee House was like ‘a safety valve’ where you could go and talk or just be,” he said via email. 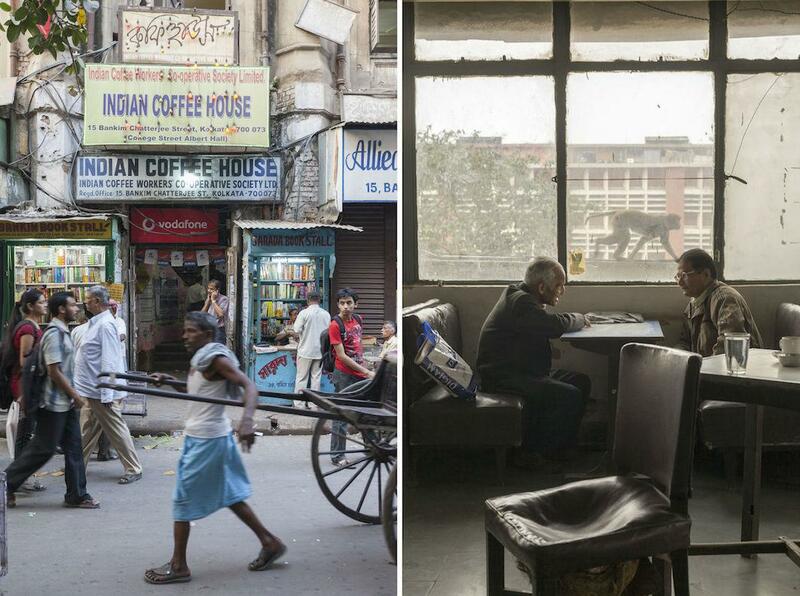 In subsequent years, as his work took him across India, Freedman would stop in to other locations of the national network of worker-owned cafes. 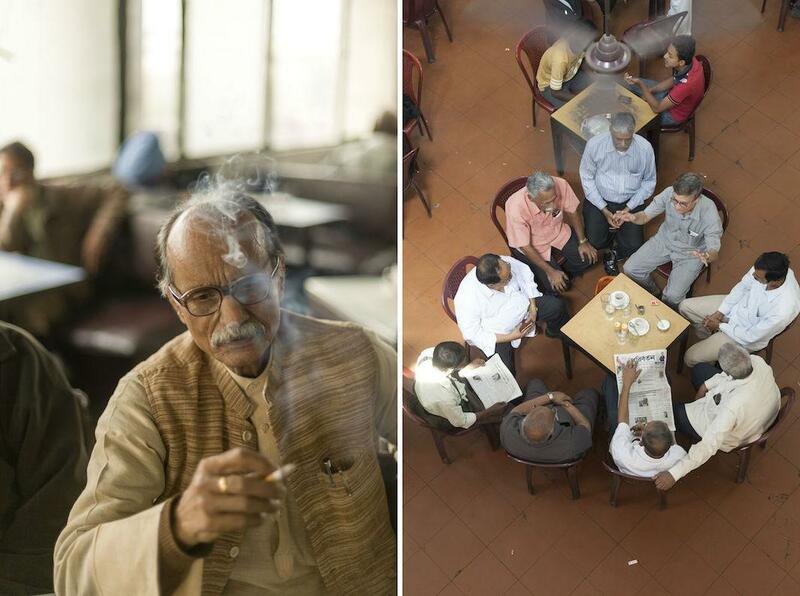 But he never thought to photograph them until 2010, when he read that the Coffee House in Delhi was in danger of closing. “The more I found out, the more I was intrigued how these shabby, humble places had been at the forefront of so much. I thought that it would make an excellent book,” he said. The Indian Coffee House, Shimla. 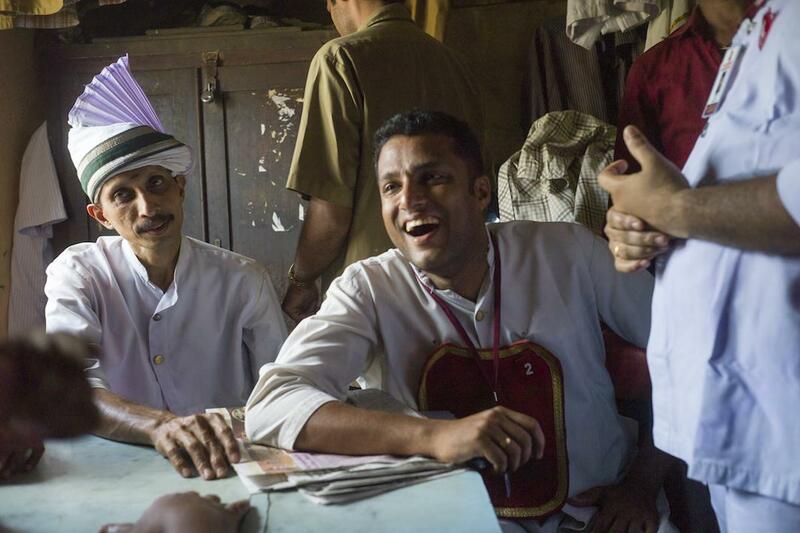 Left: Mr Kumar, a coffee house regular. 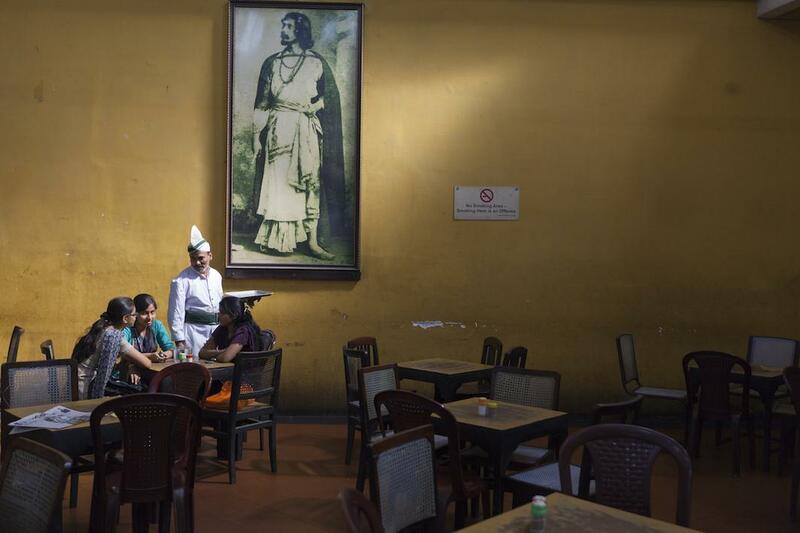 The Indian Coffee House, New Delhi. Right: The Indian Coffee House, Kolkata. 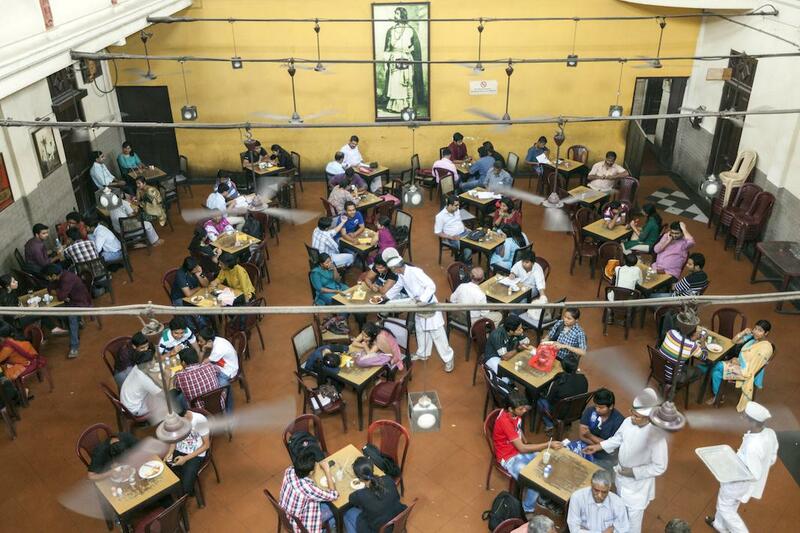 The Indian Coffee House, Kolkata. 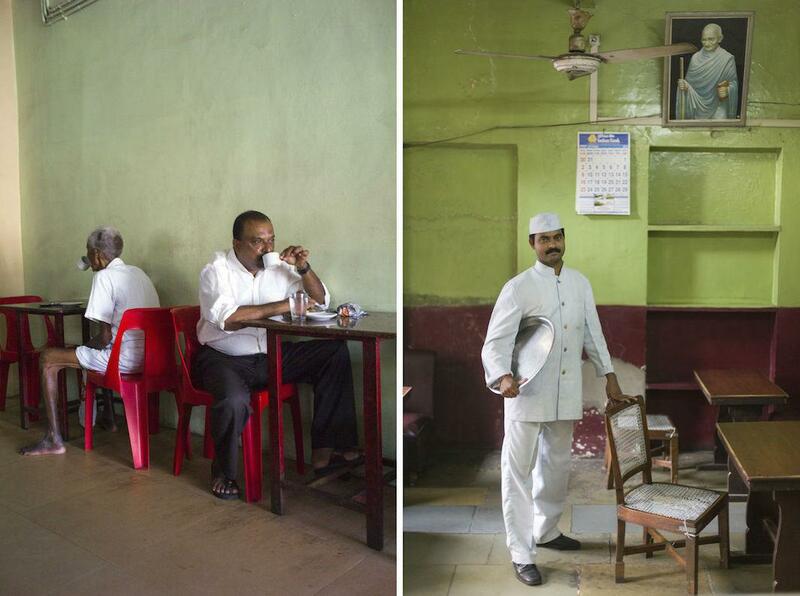 The Palaces of Memory: Tales From the Indian Coffee House, which Dewi Lewis Publishing released in September, presents five years of Freedman’s photos from more than 30 of the most beautiful and significant of these cafes throughout the country. 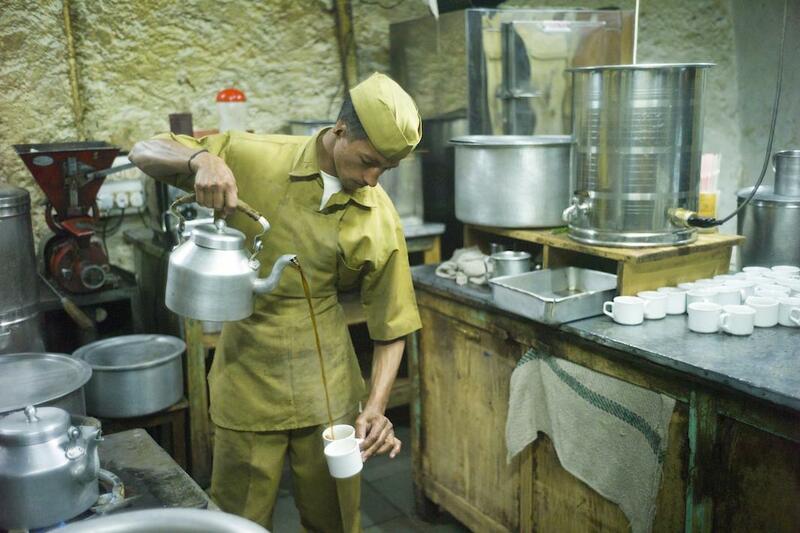 In the 1940s, India’s Coffee Board set up coffee stalls, followed by Indian Coffee Houses, across the country. They were often places of discussions on art—Satyajit Ray, Ritwik Ghatak, Subhash Mukhopadhyay, and other intellectuals often met at the Kolkata location—and politics, particularly during the Indian independence movement. “In that sense this Coffee House and all of the Coffee Houses are a sort of a cross between the Left Bank cafes of Paris and the Ahwas of Cairo. Interestingly it seems that each has it’s own flavor in the sense that the ones in Shimla and Allahabad has a load of lawyers and the one in Delhi always had politicos and journalists. These days the Indian Coffee House in Delhi is attracting a really exciting young crowd of students and activists,” Freedman said. The board closed down several shops in the 1950s, after which the communist leader A.K. Gopalan took over the chain and made them worker co-operatives. Today, their fortunes are mixed. In the north, which has seen “a very American-facing capitalism,” the cafes have become seen as outdated or linked to the Nehruvian Socialist moment. In the South, they serve food and more closely resemble restaurants. In Delhi, they now compete with Western-style “aspirational cafes” like Starbucks. Left: The Indian Coffee House, Chertala. Right: Mr Sri Kumar, a waiter. The Indian Coffee House, Jaipur. 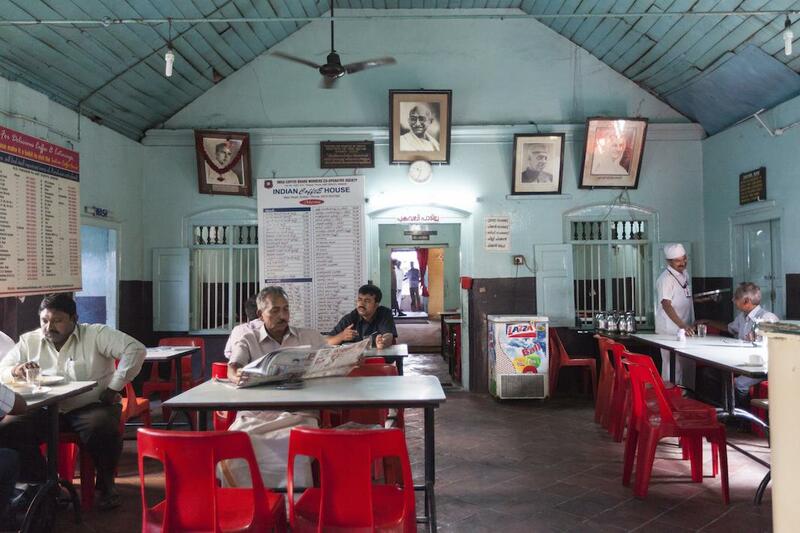 The Indian Coffee House, Market, Kottayam. While the Coffee Houses provide a lens through which to view the country’s history and contemporary changes, for Freedman, they have mostly served as a window into everyday Indian life. Correction, Sept. 30, 2015: This post originally misspelled Kollam. An image of Rabindranath Tagore. The Indian Coffee House, Kolkata. Left: The Indian Coffee House, Kolkata. Right: The Indian Coffee House, New Delhi.